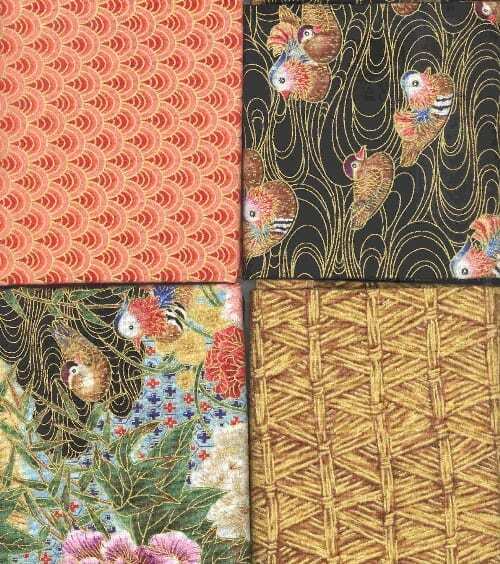 From Blank Textiles comes the Asian Enchantment series of quilting fabric. This piece has a black background with brightly colored flowers and birds with gold outlines. Pictured on the bottom left.